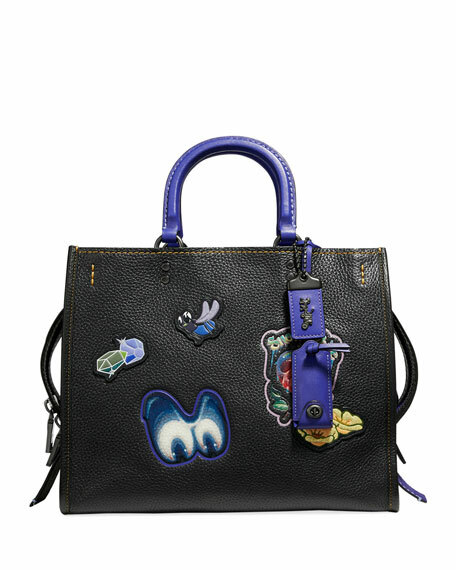 Coach 1941 "Rogue" tote bag from the Disney x Coach: A Dark Fairy Tale collection. Natural pebble leather with assorted haunted forest patches throughout. 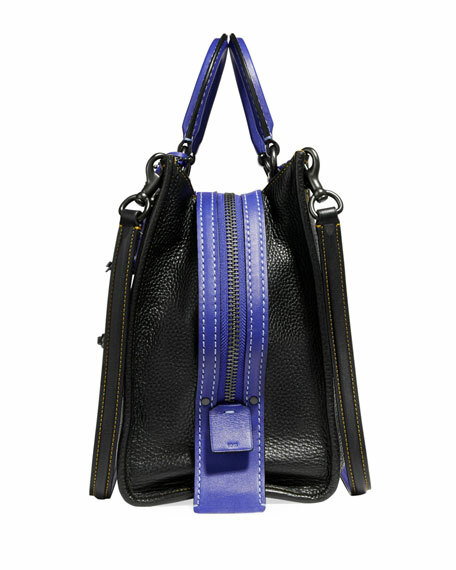 Finished with contrast stitching and black copper-tone hardware. Inside, canvas/suede lining; zip and French purse pockets. 9.8"H x 12.2"W x 5.5"D.
For in-store inquiries, use sku #2606982.